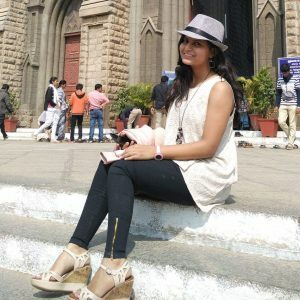 This girl from Udaipur is making it big as an entrepreneur! Curious? Read further to know what she does and how she is making it a success. Prithvi Jain, a Chemical Engineer from MNIT is the young and promising entrepreneur from Udaipur. She was a part of the Entrepreneurship Cell during her college and worked as a Student Exchange Manager at AIESEC. After working with AIESEC, she realized that by having her own company, even a small success can make her very happy. This was the turning point of her life! Doing something for the people had always been the prime motive for Prithvi and that is how she focused on her goal. Let us know about her startup- VerboLabs – what all it does and how it works. The basic idea behind developing VerboLabs is to connect people from different parts of the world by breaking the language barrier. For instance, you want to watch a cookery show, but it is in French and so you cannot understand it. This is a problem for the viewer as well as the show creator that they are unable to reach a wider audience. VerboLabs breaks these boundaries by helping the content creators through subtitles and dubbing in different languages. This eight months old startup has already partnered with a lot of big media houses and e-learning companies from all over the world and is providing services to them. Her motivation has always been her motto; which is working with determination, having a high learning spirit and delivering quality work at the designated time. The beauty of being an entrepreneur is that you are your own boss. You get to work in your own environment. Entrepreneurship is booming all over the globe and people in India are starting to have their own ideas turn into a business. Women have always been great leaders; our girl Prithvi also aspires to become one among the leading ladies. In the words of a great Greek Writer Nikos Kazantzakis – ‘In order to succeed, we must first believe that we can’. This certainly holds true for every aspiring entrepreneur. Prithvi is living up to her dream, and with this note, we wish her the best of luck for the future! Next articleCyclists Touring India To Support Polio Eradication are in Udaipur, Know Why!